Groundwater represents an important supply source for municipal and irrigation uses in Far West Texas. The City of El Paso receives about 50 percent of its municipal water supply from surface water and 50 percent from local groundwater. Groundwater pumping in El Paso is from the Hueco Bolson and the Mesilla Bolson. Historic groundwater pumping in the Texas portion of the Mesilla Bolson has not resulted in significant changes in groundwater levels or groundwater quality in existing wells. Historic pumping in the Hueco Bolson has resulted in lowered groundwater levels and brackish groundwater intrusion. The groundwater level declines have resulted in the intrusion of brackish groundwater into areas that historically pumped fresh groundwater. A 1979 assessment concluded that El Paso would deplete fresh groundwater in the Hueco Bolson by 2030 if groundwater pumping continued to increase. 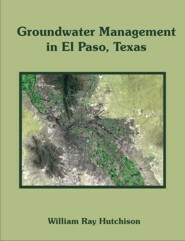 Partly as a result of the 1979 assessment, El Paso reduced its groundwater pumping from the Hueco Bolson by increasing surface water diversions from the Rio Grande, increasing conservation efforts, and increasing reclaimed water use. As a result, groundwater levels in many parts of the Hueco Bolson have stabilized. Brackish groundwater intrusion remains an issue, and is being addressed with a brackish groundwater desalination plant, currently under construction. The new wells and existing wells that will supply this desalination plant will also assist in the management of brackish groundwater intrusion by intercepting the brackish groundwater before it can flow towards existing fresh groundwater wells. The 2006 Far West Texas Regional Water Plan contemplates a groundwater transfer project to meet increasing demands in El Paso County beginning about 2030, mostly from the Dell City area in Hudspeth County, Texas. Groundwater management in the Dell City area is governed by a groundwater conservation district that has established limits on groundwater pumping based on existing and historic uses. Groundwater pumping for irrigation began in the Dell City area in 1948, and groundwater levels have been essentially stable for since the 1980s. Future planning for a groundwater transfer project will require a detailed understanding of the hydrogeology of the groundwater in the Dell City area. William R. Hutchison was born in Nueces County, Texas, and graduated from high school in Palm Springs, California. He received a B.S. in Soil and Water Science from the University of California, Davis, an M.S. in Hydrology from the University of Arizona, and a Ph.D. in Environmental Science and Engineering from the University of Texas at El Paso. He has 25 years of professional experience, and is a licensed Professional Engineer and licensed Professional Geoscientist in Texas. Since 2001, he has worked for El Paso Water Utilities (EPWU), and currently serves as the Water Resources Manager. Prior to 2001, he worked as a consultant and completed projects related to water resource planning, evaluation of environmental impacts of groundwater development, development and management of groundwater resources, and groundwater flow and transport modeling. Project assignments also included the technical aspects of surface water and groundwater rights, and have included expert witness testimony. From 1985 to 2001, he worked extensively in the Owens Valley and Mono Basin in eastern California. He played a key role in the development and negotiation of an historic water management agreement between Inyo County and the City of Los Angeles regarding the management of groundwater pumping in the Owens Valley. 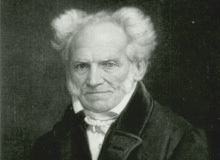 He also developed LAAMP for the California State Water Resources Control Board, the simulation model of the Los Angeles Aqueduct system used in the relicensing of City of Los Angeles water rights in the Mono Basin.